After the Chernobyl catastrophe, the Russian government directed a group of scientists in the Far East of Russia (on the Pacific) to develop a product rich in alginates. The scientists then proceeded to test their product on victims surrounding Chernobyl, and other volunteers for general health benefits. In all, numerous official studies were done over a five year period. This product was named and was brought to the Russian general market several years ago by a group of Russian entrepreneurs who understood its unique properties and potential. We are pleased to be able to offer you LCR Fucoidan. Pioneering in renewable farming and the exploration of naturally occurring biological activity in the soil. An All Natural Mineral Product That Controls Scours! 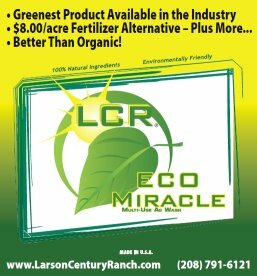 LCR EcoMiracle solution replaces dozens of toxic cleaners and solvents you currently use!! To Replace All The Poisons In Your Home.